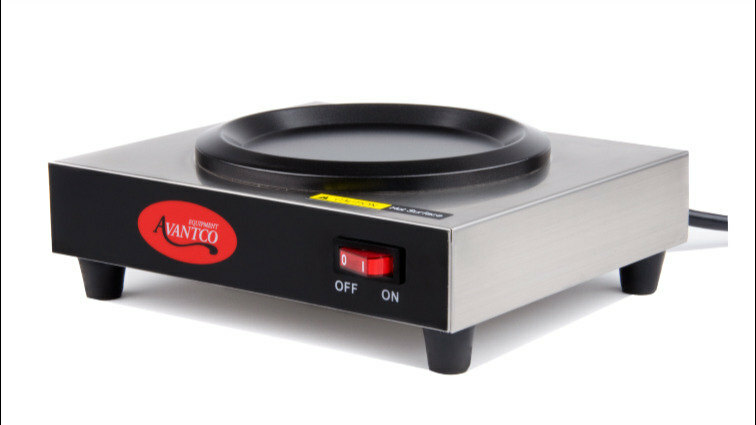 Keep your coffee hot, delicious, and ready to serve with the Avantco W51 single burner decanter warmer! 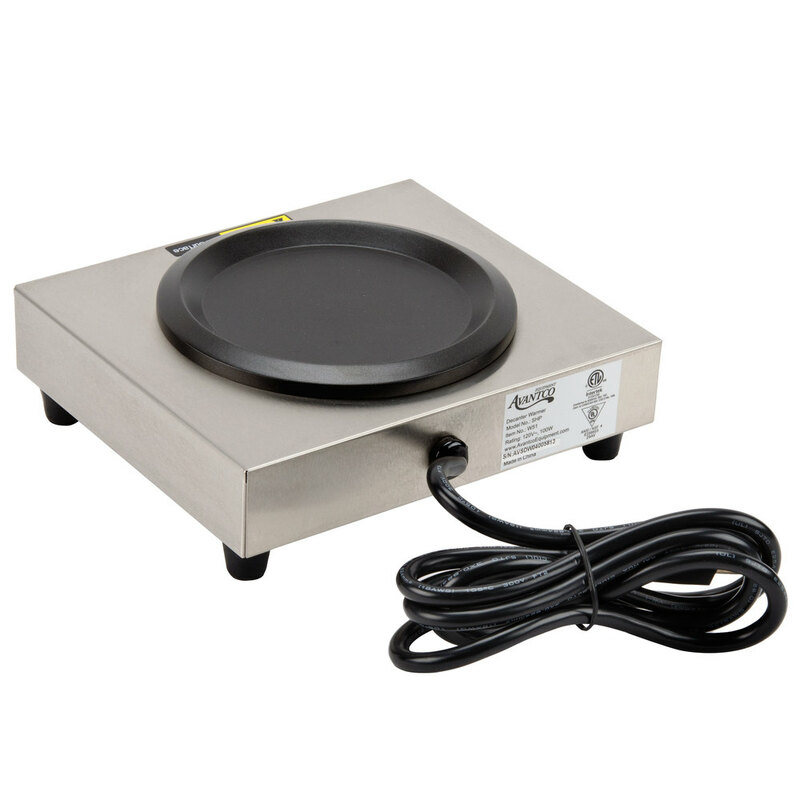 This decanter warmer features 100W of heating power and a Teflon®-coated aluminum dish sure to keep your coffee hot without sticking to the decanter. The exterior is made of stainless steel for outstanding durability. 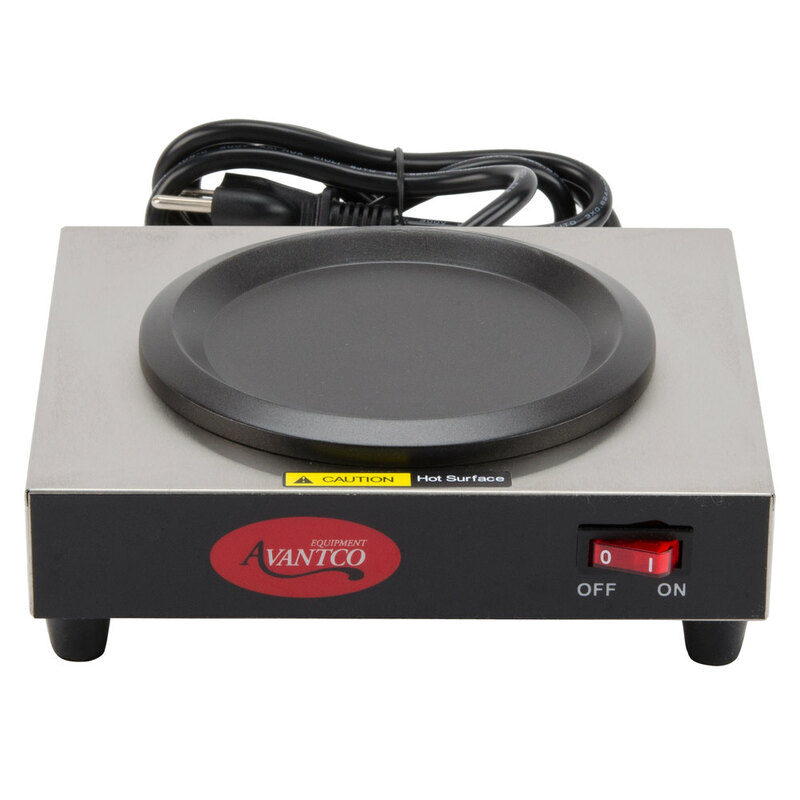 The Avantco W51 requires a 120V electrical connection. Ours held out for about 2 years before burning out, we replaced it with a "higher end" one and miss the Avantco. Most higher end warmers keep the coffee at a much too high temperature leaving a burnt flavor after only being on it for a bit. The Acantco would hold coffee at that perfect hot temperature and not leave the overly burnt flavor from getting too hot. Finally I can keep my coffee warm all during my events with this avantco single burner decanter warmer. The price is very affordable and falls right into my budget. Over the past two years i have purchased two of these, one for each business i was at,, both work perfectly. 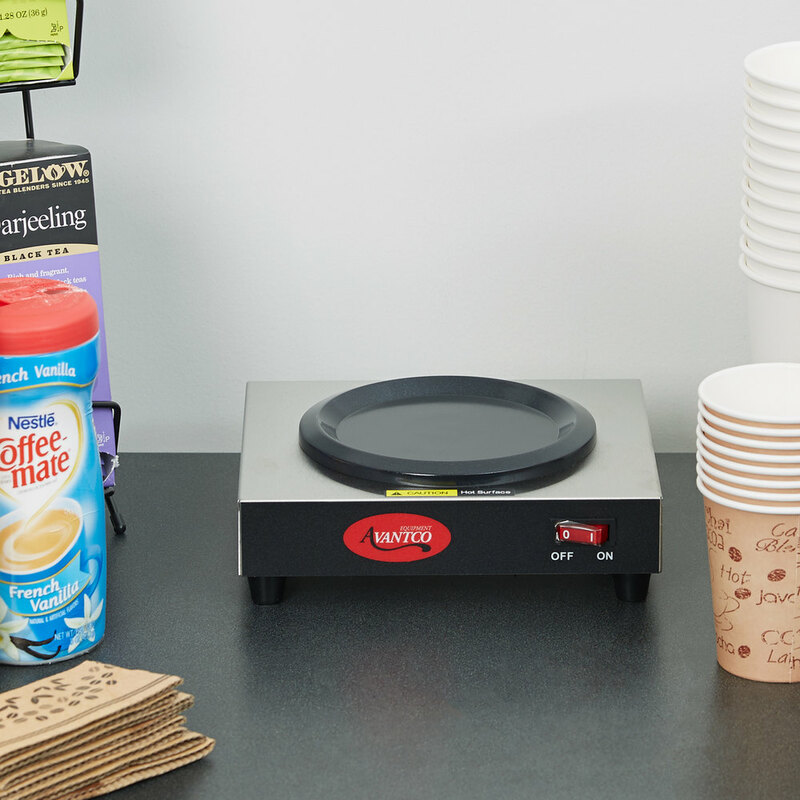 Saves a lot of time when you only have small areas to work with and lots of coffee drinkers. Later on thinking of a third for home use. This was a perfect addition to my coffee counter, I have a brewer with an extra burner, but they single warmer allows me to start a new pot of coffee while keeping the previous one hot, without taking up too much space on my counter. Great purchase! Great price and it just as good as the bunn its also the same watts as the bunn and does the same job as fast asthe bunn great buy. 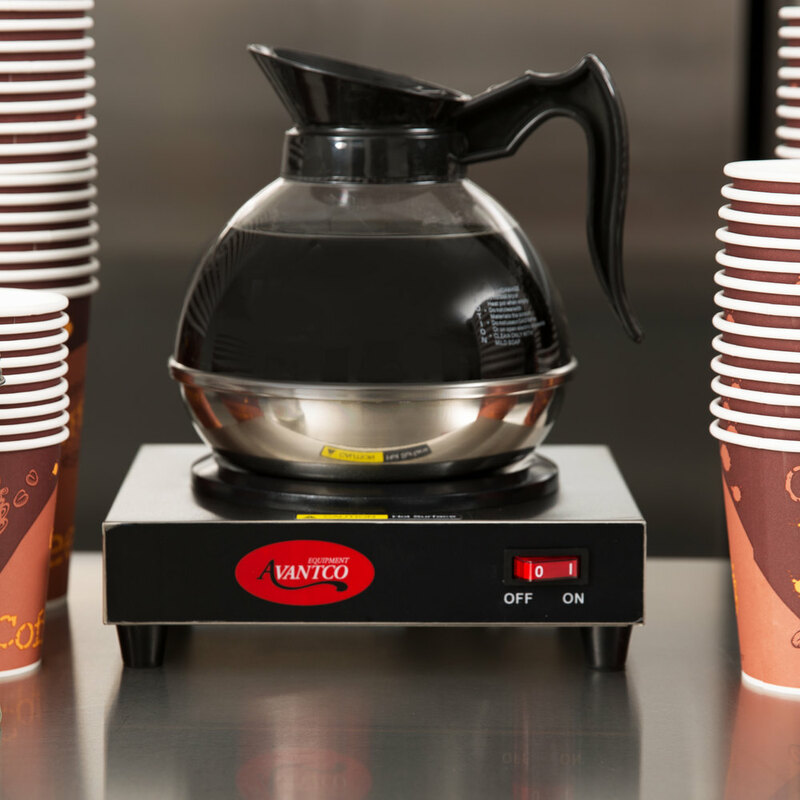 The Avantco W51 keeps the coffee hotter than the burner on the coffee machine. I'm happy with it and recommend it to anyone who likes hot coffee. this is a very nice coffee warmer. my servers like it because they can have it in the dinningroom and not have to run all the way to the back for coffee refills.